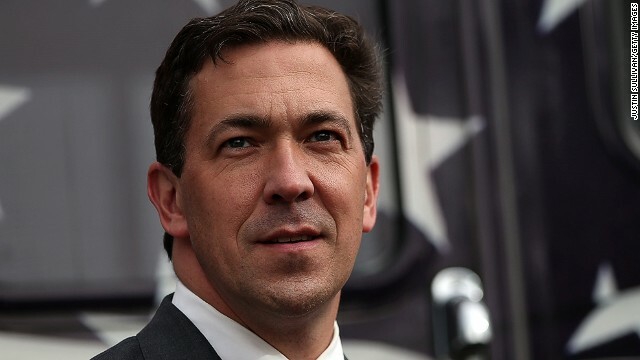 (CNN) - Chris McDaniel's campaign formally challenged the runoff results from Mississippi's U.S. Senate primary that showed he lost to incumbent Thad Cochran. "Republicans did not elect the nominee on June 24," McDaniel said in a statement on Thursday. A state senator who got strong support from tea party and anti-establishment groups, McDaniel narrowly edged Cochran in the June 3 Republican primary. But neither cracked the 50% threshold needed to win, pushing them to a runoff three weeks later that Cochran won by more than 7,000 votes. Cochran’s victory was apparently aided by crossover votes from African-Americans, a largely Democratic bloc actively courted by Cochran's campaign and allied groups. In a statement announcing the challenge in Jones County, the McDaniel campaign said there is evidence of election fraud, including fraudulent votes, insecure ballot boxes and other issues with election integrity. "The First Amendment right of the party to associate was (clearly) infringed upon on June 24th," said McDaniel lead attorney Mitch Tyner. "The party should have arranged for the primary to limit Democratic participation, but the Cochran campaign elicited the exact opposite." Tyner added: "Since the Republican Party's leadership clearly doesn't trust the Executive Committee to hear this challenge, we have no choice but to file for judicial review." According to Mississippi law, voters are not required to register with a political party, and anyone who doesn't vote in a primary election can cast a ballot in either party's runoff. Cochran's campaign has pushed back against McDaniel's challenge, attributing support from African-Americans to four decades of relationship-building in the state. @tom l, do agree with your leader Rand Paul that the police have become over-militarized? Those are Paul's words, not mine. 2. During the Cliven Bundy incident (whom I do not worship at all) I spoke up several times about the firepower of the Bureau of Land Management and the weapons they had and nobody said a word. In fact, I was mocked for my concerns and told I was siding with a tax evading racist. What say you on that end?